COLUMBIA, MO – Economic development incentives have been a popular tool for attracting, retaining and growing businesses for states and local governments for decades. Missouri offers a wide variety of programs aimed at increasing business investment and jobs in the state by giving tax credits and other incentives to businesses if they promise to move or increase operations in the state. Local and state governments spend millions of dollars on these kinds of incentive programs every year, but economic experts at the University of Missouri are skeptical of these programs’ overall effectiveness. 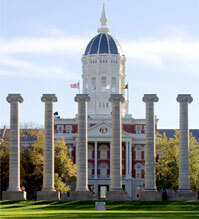 Judith Stallmann, a professor of community development extension, agricultural and applied economics, and rural sociology in the College of Agriculture, Food and Natural Resources at the University of Missouri, says it is difficult to measure the success and failure rate of incentive programs. Stallmann says there are several aspects to these incentive programs that cause concern. One issue is that it is hard to tell if a firm receiving an economic incentive would have implemented the project anyway, but applied for the incentive because it was available. She says providing incentives to these kinds of firms provides no payback on the public funds used. Stallmann also believes that these programs can create an economic disadvantage for other, similar businesses. Stallmann says that since so many states are offering incentives, it is hard for anyone to benefit. Stallmann has several recommendations for governments looking to implement economic development incentive programs. She says that incentive programs should not be entitlements, but rather firms should have to qualify for incentives by proving they will benefit local economies. Stallmann also believes that economic impacts of incentive programs should be adequately compared to the cost of the programs through an accurate cost-benefit analysis. Ultimately, Stallmann believes states need to find better ways to monitor and analyze the success and failure of individual incentive programs. She says states should not make loans or grants to firms without contracts for performance that require periodic reports to show they are meeting the terms of the contract and for use in evaluating the economic benefit to the economy. Stallmann also says an agency that is in charge of implementing an incentive program should not be the agency in charge of evaluating the program’s effectiveness. Stallmann and co-author Thomas Johnson, the Frank Miller Professor of Agricultural and Applied Economics in the College of Agriculture, Food and Natural Resources and professor in the Truman School of Public Affairs, submitted a white paper, Economic Development Incentive Programs: Some Best Practices, to the Missouri Department of Economic Development.